 Pheronym is an agricultural biotechnology company developing nontoxic solutions for plant protection. We use pheromones to control the behavior and development of microscopic roundworms called nematodes. The pheromones are water soluble, which makes them suitable for seed treatment. We have two products in the pipeline; PheroCoatTM and NemaStimTM. PheroCoat is a seed treatment that controls plant parasitic nematodes, which do not currently have a good solution. NemaStim controls beneficial nematodes, soil probiotics, for insect pest control. Currently, we are negotiating greenhouse demonstrations for NemaStim to enter the greenhouse growers market. Without pesticides, there would be 50-80% crop loss globally, representing billions of dollars of financial loss to producers. Farmers have to use pesticides, but toxic chemical pesticides are being removed from the market. There is a clear and huge global need for safe, viable, smart alternatives to control agricultural pests. Nemastim™, our patented beneficial nematode conditioner, provides a safe and effective way to direct beneficial nematodes to attack target insects in a “pack,” resulting in a 5X insect kill rate as compared untreated nematodes. It is also safe for non-target insects such as pollinators and leaves no harmful residue. Pherocoat™ is a patented seed treatment that directs plant-parasitic nematodes away from healthy roots.